YouTube is easily one of richest places to find free entertainment online Love Men In Tights? 8 Pain-Free Ways to Watch Wrestling Online Love Men In Tights? 8 Pain-Free Ways to Watch Wrestling Online Put on your tights and strap up your boots, because it's time to make your way to the squared circle. Not as a wrestler yourself, but as a viewer of online wrestling services. Read More . But it’s also a treasure trove of educational videos, which is something awesome that a lot of people miss out on. 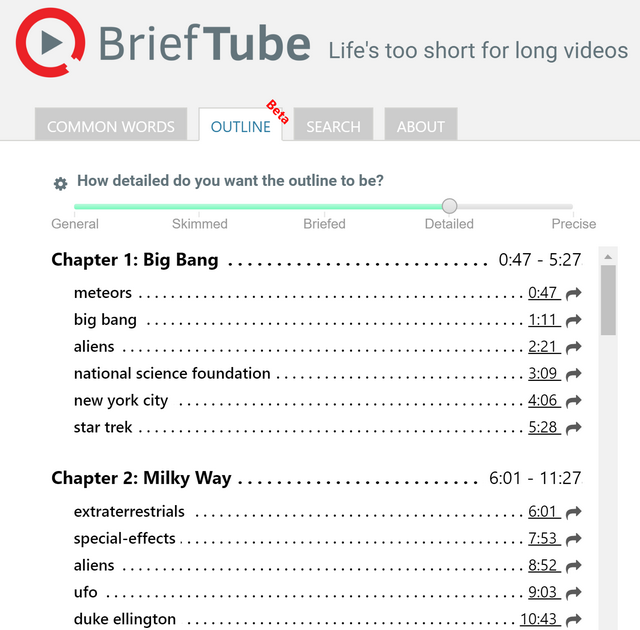 If you use YouTube to watch lectures (and you’re missing out on some good stuff if you don’t), then you’ll adore the Chrome extension BriefTube. It breaks YouTube lectures How To Set Up YouTube For Better Learning How To Set Up YouTube For Better Learning If you are not using YouTube to expand your mind and learn new skills, it's time to catch up. There's so much free knowledge available out there. Why not take advantage of it? Read More down into chapters so you can watch get a quick overview of what to expect and jump around the parts that are important to you. To use the extension, you’ll need to head to this page and download it [No Longer Available]. Once installed, you’ll see an icon on the top right of your browser windows. Now, just head to a YouTube video and click the extension’s button. It will load for a few seconds and then generate the information you want. It should be noted that the extension relies on closed captions in order to generate its tables of contents. If the video doesn’t have CC support, it will use Google’s automatically generated ones, and as we’ve talked about before, the results of those can be rather hilarious (and incorrect) This "Feature" Is the Funniest Way to Watch YouTube Videos This "Feature" Is the Funniest Way to Watch YouTube Videos Want to have some fun while watching YouTube videos? Turn on this feature and let the good times roll! Super funny, but don't overdo it. Read More . 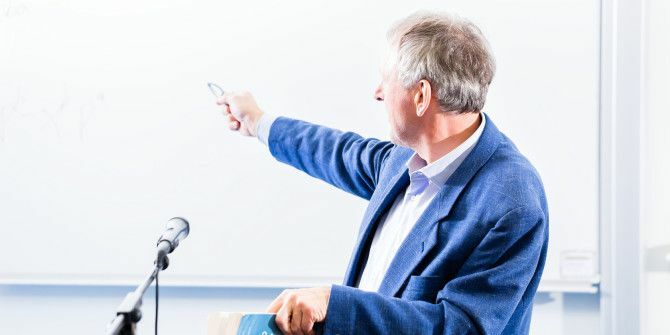 As such, you can use the extension with any video, but the reason it works so well for lectures is that they almost always have native closed captions that are actually correct. Do you know of any other awesome YouTube Chrome extensions we should try? Let us know in the comments! Explore more about: Browser Extensions, Google Chrome, Online Lecture. Interesting extension, seems like it can read and organize the captions of tube videos! There is also one chrome extension TurboNote (can be found in Chrome web store as TurboNote beta) can make users take and share notes while watching online videos, it can support lots of popular video sites, like Youtube, Netflix, Vimeo, Dailymotion ... and lots of Mooc's (Massive open online courses) sites, like Coursera, Edx, Ted, Udemy, Lynda and many more. A good tool for students and educators.